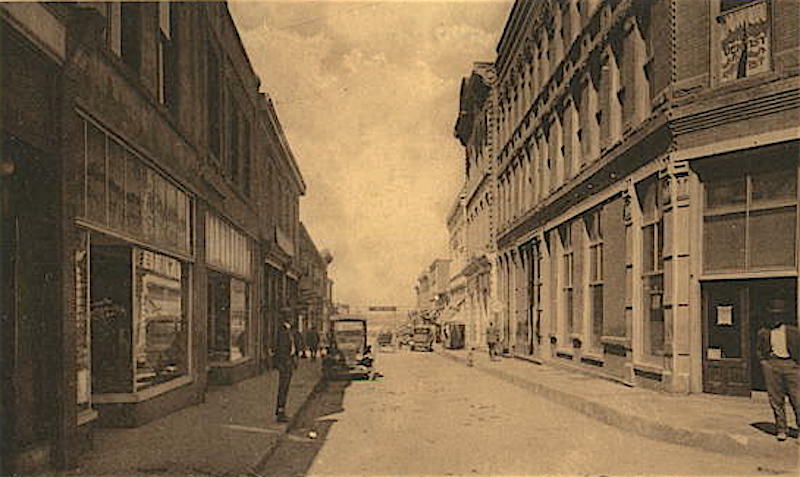 Santa Fe New Mexico History Tour = your trek is led by historian & author Allan Pacheco 505-986-5002 schedule a safari. 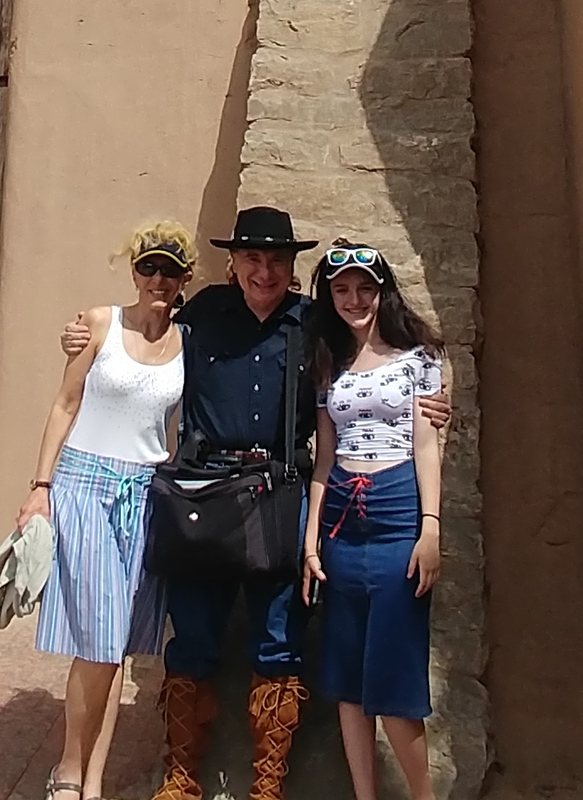 RIGHT: Tour guide AL at the historic & haunted San Miguel Mission with two Russian ladies from Gorky -- TOVARISCH! What a lucky guy! 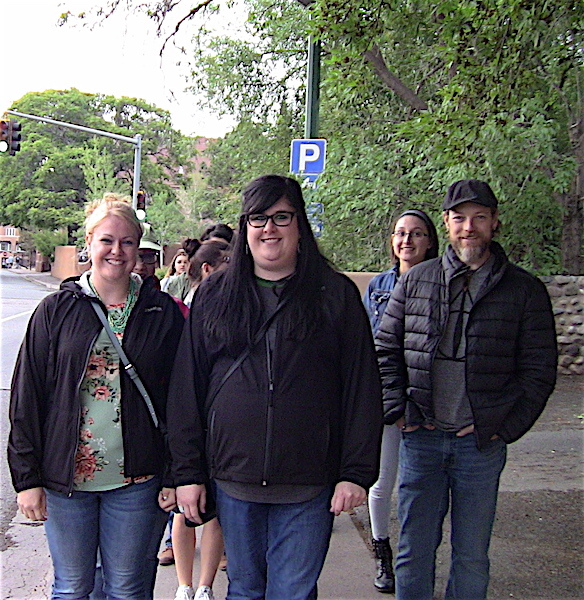 BELOW: What people had to say about Allan's Santa Fe New Mexico History Tour! Allan is very knowledgeable and professional. He kept our group of 12 captivated with his history information...separating fact from myth. We wanted to take his ghost tour but he was booked. 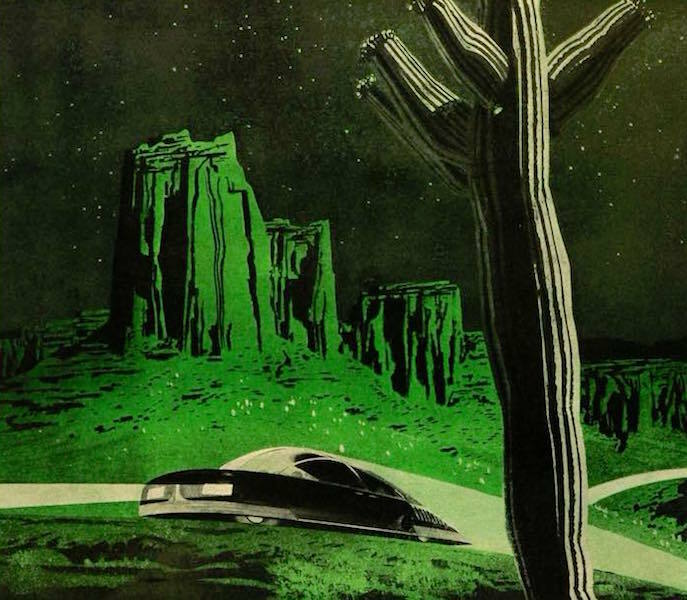 I highly recommend Allan Pacheco for great stories about Santa Fe past & present. 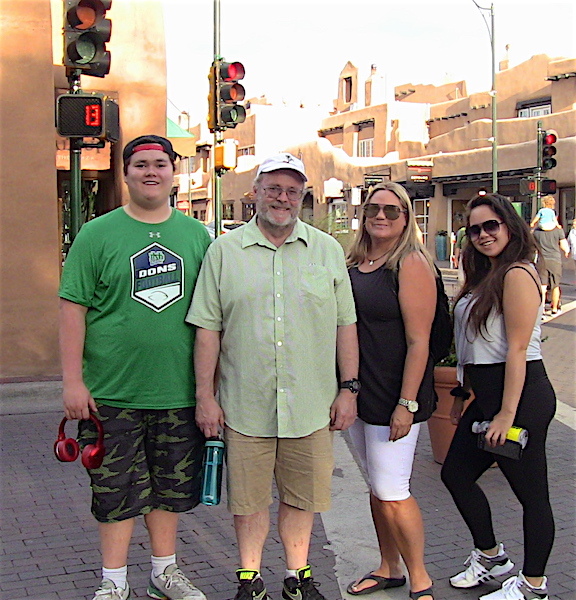 We really enjoyed the tour you provided to us of the City of Santa Fe. You did a great job and exceeded our expectations. 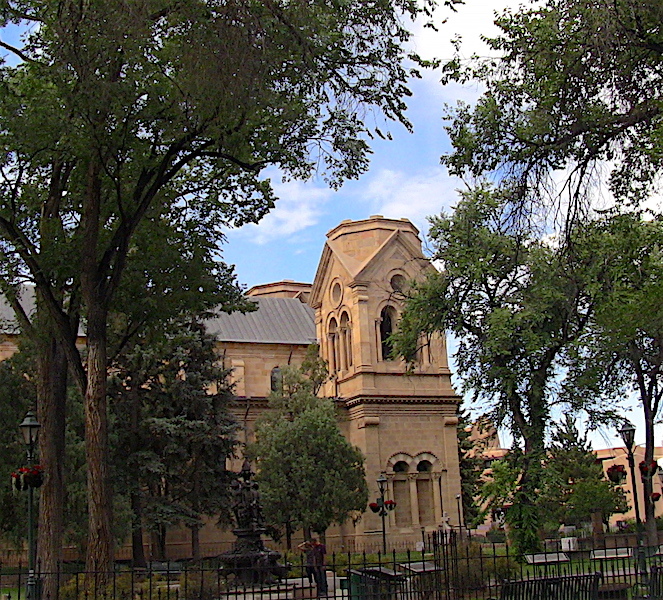 Allan Pacheco is the tour guide for an ultimate experience when visiting Santa Fe. 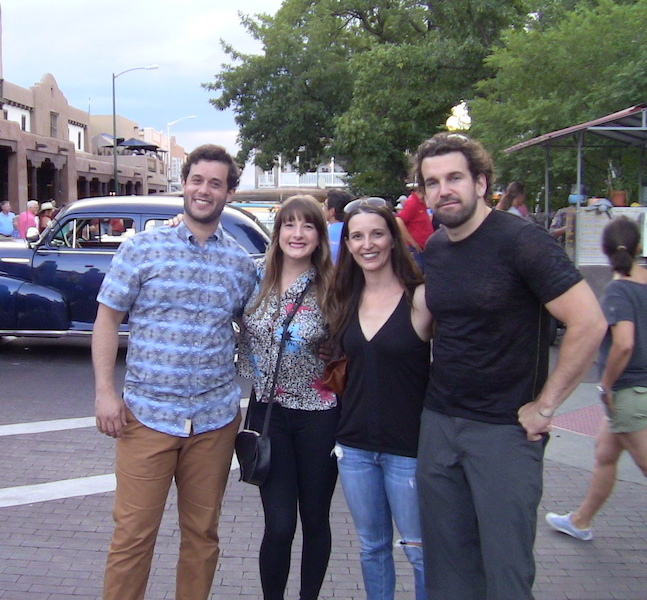 I have been to Santa Fe five times, and it was on my latest trip that I had the best of all experiences. 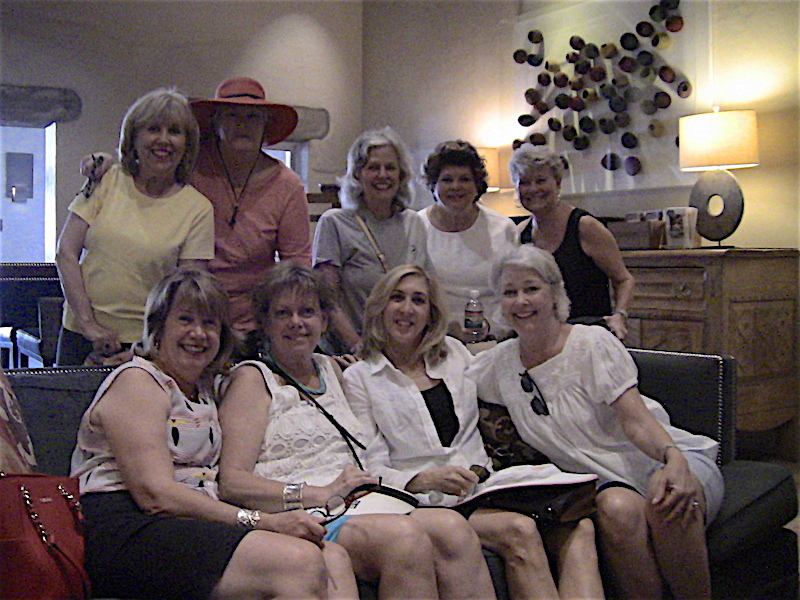 My companions and I booked two tours with Allan prior to arriving in Santa Fe. These were private tours just for us and the prices were so reasonable. We had the ghost tour on the first day we arrived meeting Allan right at dusk. We wound our way around town listening to fascinating information. Although I am not as much of a ghost enthusiast as my friend, I found myself very interested in the stories told on location. The tour ended back at the square just at dark. Allan even walked us (three women) to the La Fonda, where we were staying. Two days later, we met Allan for the historic walking tour. I have been on a walking tour of Santa Fe in the past, but this far exceeded my prior experience. Again, this was private to our group and, therefore, tailored to our questions. As a history buff, I came away feeling that this jewel of a city was part of me. 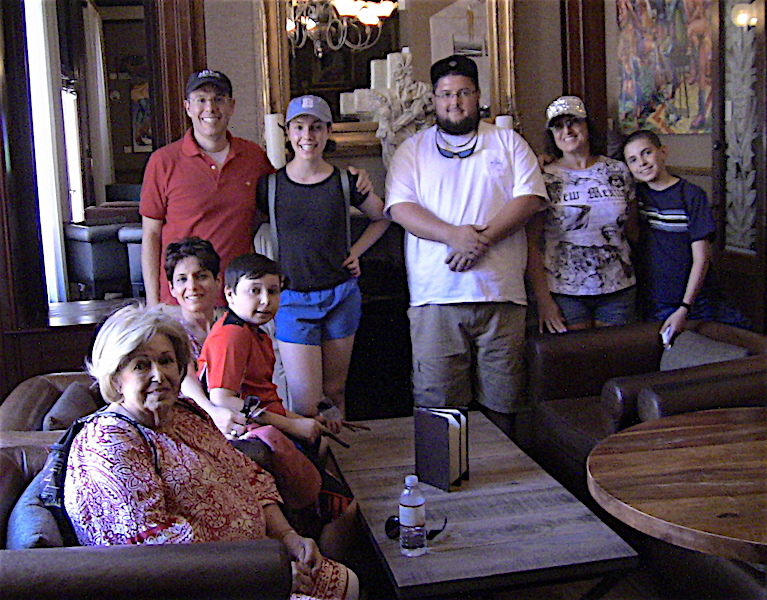 1st time in Santa Fe or your 100th, schedule a history tour with Allan Pacheco. 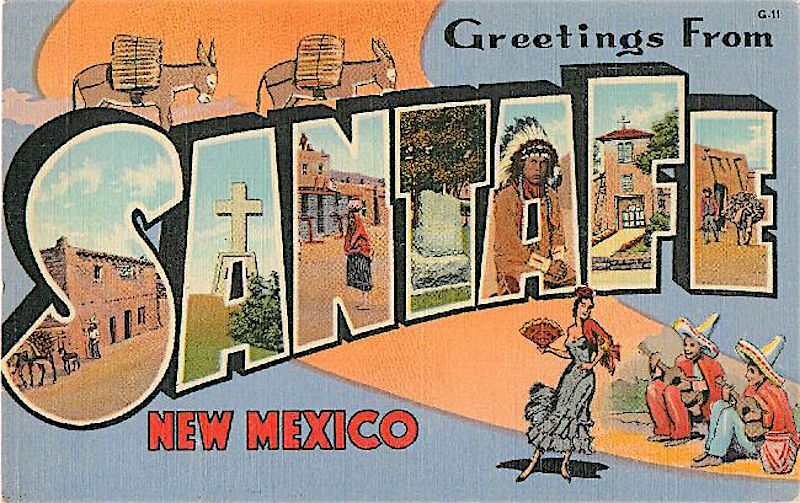 This is not a POLITICALLY CORRECT (PC) tour -- NO PROPAGANDA on your tour -- you get the low down on Santa Fe's fascinating past -- topics = Conquistadors, Wild West & WWII Soviet Spies = (MANHATTAN PROJECT MAYHEM). 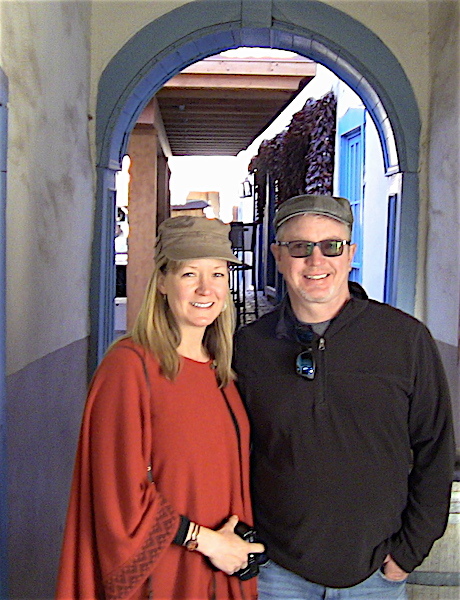 BELOW: At the end of the tour -- at the historic La Posada -- The Taj Mahal of Wild West Santa Fe... 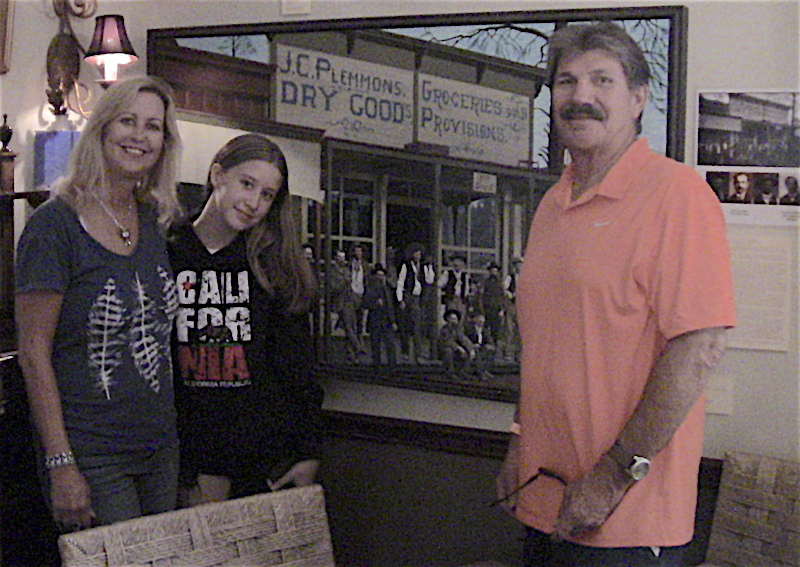 This thirsty group ordered sodas and stiff drinks from the resort's bar --- this magnificent hotel during pioneer days was the mansion of the notorious Abraham Staab. 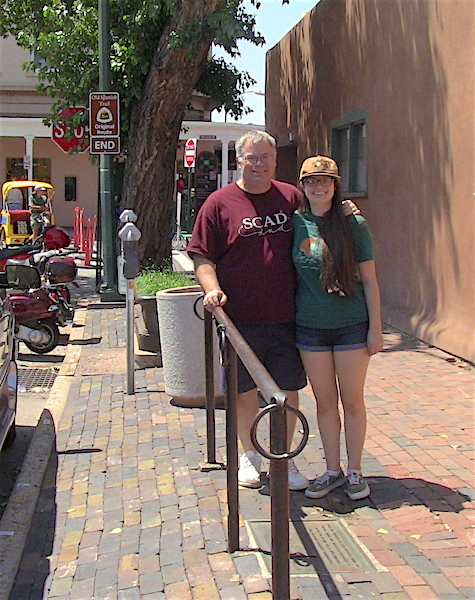 BELOW: Father & Daughter tour -- at the last wild west hitching post in Santa Fe -- when you tour with Allan -- History or Ghost Tour -- you get a complete tour --- tidbits, monuments & paranormal locations. 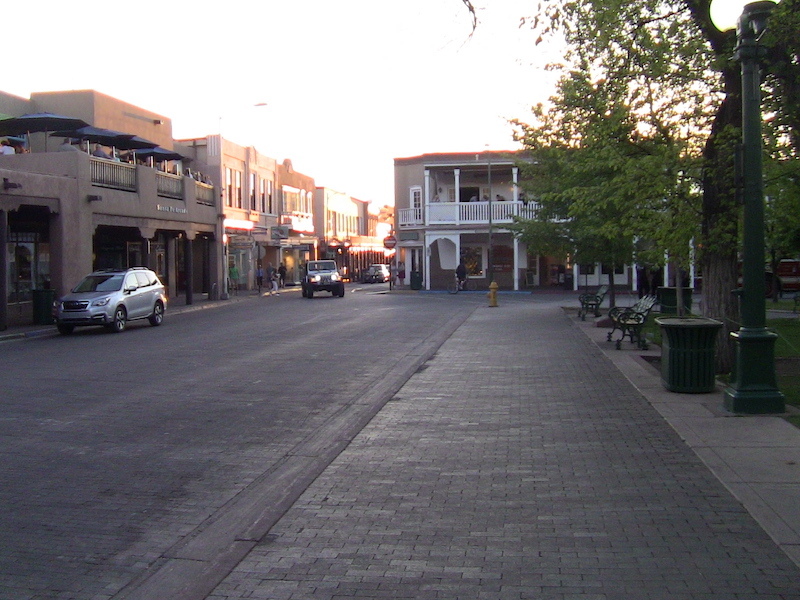 BELOW: After touring with Allan --- on your way home -- through the late hours --- all you will be talking about is Historic -- wonderful Santa Fe... 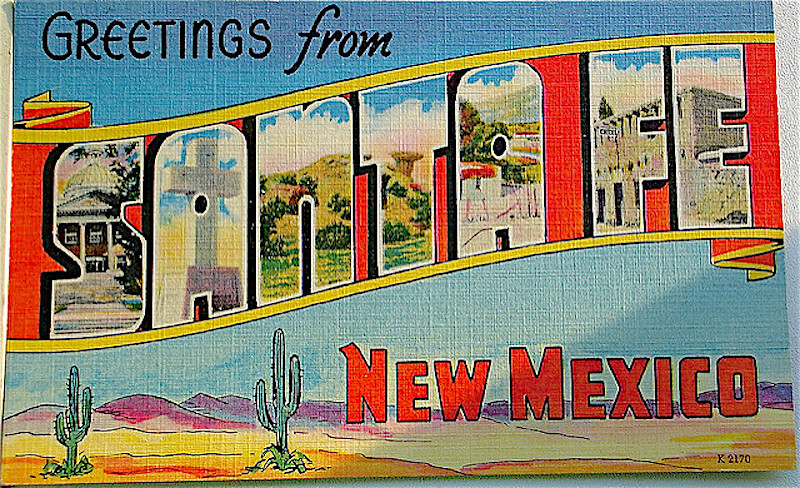 Schedule a Santa Fe New Mexico History Tour = 505-986-5002 or 505-231-1336 or get Allan as your key note speaker.